Middle school at LCA emphasis eight areas of study: English, mathematics, science, Latin, history, music, foundations, and art. Curriculum is characterized by active classroom discussion around a common table and frequent writing assignments. As a result, LCA's middle school produces students of intellectual maturity. 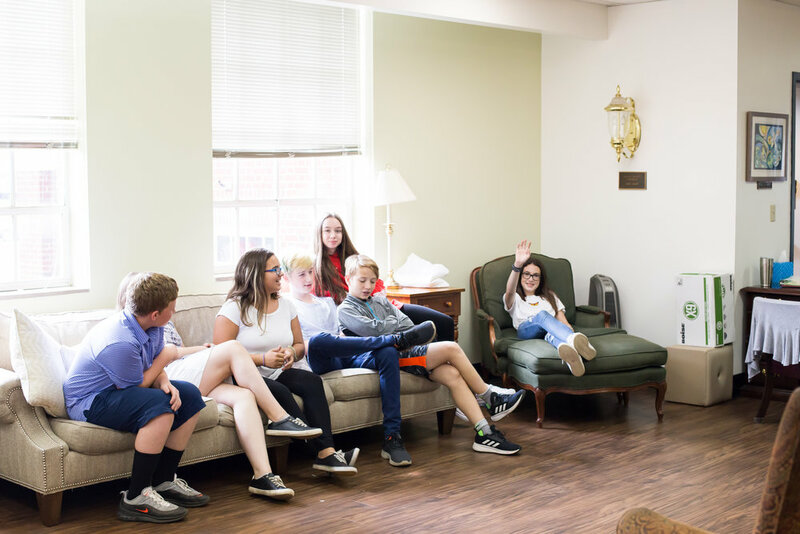 Recognizing the unique social and emotional needs of the age group, we work closely with families in devising plans regarding behavior and peer relations when necessary. A classical liberal arts education is defined by the quality of the authors and books around which the curriculum is designed, as well as a recognition that those which have been tested by time and the probing of great minds—enduring texts—deserve priority. LCA is distinguished by the quality of the reading selections, which includes a wide variety of classic and contemporary books and stories. In classic seminar style, the students sit around a common table and the learning experience is based on well-formed conversation among a small group led by an expert teacher. Students learn to share their ideas and to respond to what others have said in a relaxed and supportive setting. They are encouraged to maintain an attitude of naiveté, allowing thoughts to evolve, but also taught to support their assertions with evidence and to expect others to do the same. The students learn that good questions can be the most helpful way to advance dialogue. LCA teachers encourage students to ask questions, think deeply, and develop their own ideas about what they read. This collaborative, discussion-based method is called Shared Inquiry™ and has been developed, refined, and advocated by the Great Books Foundation for more than sixty years. The method enables students to explore the ideas, meaning, and information found in everything they read. Shared inquiry centers on interpretive questions that have more than one plausible answer. Instead of presenting the “right answer,” teachers guide students in reaching their own interpretations securely grounded in the text and understanding the interpretations of others. Teachers do this by expressing their own curiosity about the selections, posing questions to get students to base their ideas on evidence in the text, and following up with additional questions. Excellent critical-thinking skills develop naturally in the seminar classes, as the students learn to communicate ideas with clarity. Composition develops fluency and correctness as students cultivate an authentic writers voice. All students will develop enhanced skills in reading comprehension, critical thinking, and written expression. In math, students will be placed at the appropriate level in the Math Mammoth curriculum in preparation for algebra, typically by grade 7 or 8. 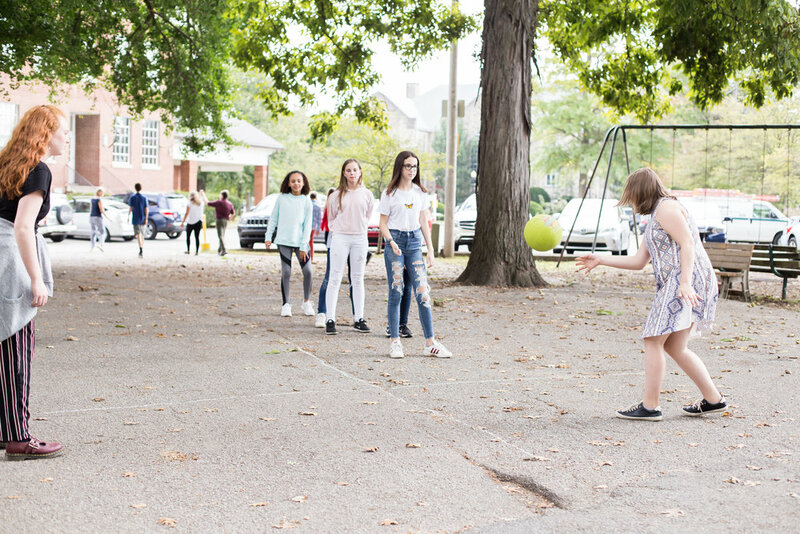 Taught by subject-matter experts who are dedicated to promoting masterful students, Louisville Classical Academy’s interactive tutorials in mathematics enable students to benefit from a combination of group instruction and individualized attention. Because students learn math skills at different rates, students are grouped, generally speaking, according to skill level rather than by age or grade. Upon completion of the Math Mammoth series, middle-school students begin pre-algebra, algebra I, and geometry. Latin is the ultimate tool in developing minds that are agile, observant, analytical, logical and perceptive. 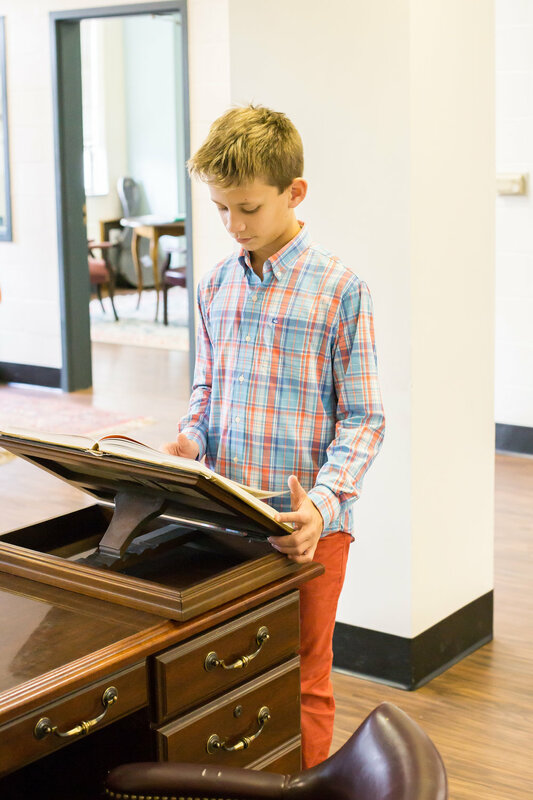 Students who enter LCA in middle school begin their study of Latin in multi-grade, introductory classes. The study of science at LCA promotes conceptual understanding, laboratory experience, and factual knowledge, as well as a lifelong appreciation of the natural world. Scientific literacy and critical thinking skills are emphasized. Laboratory equipment and furnishings enable students to engage deeply in the subject areas through a hands-on, guided-inquiry approach. 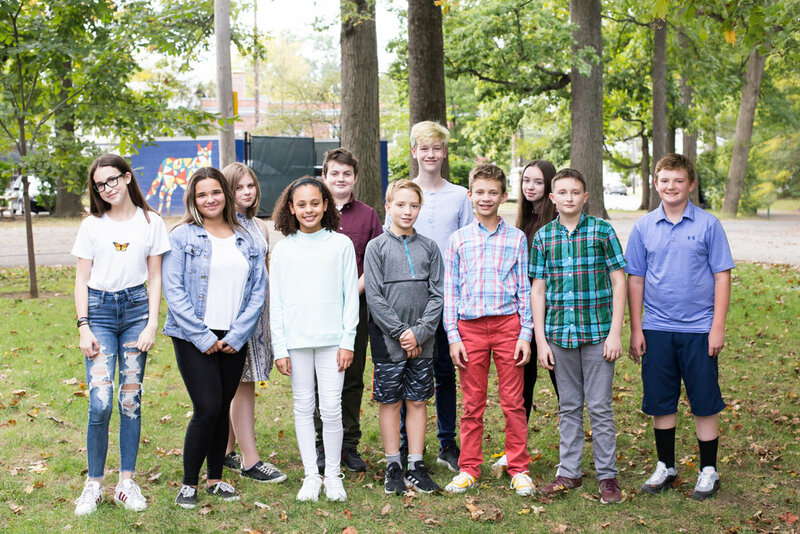 Middle-school students complete a course of study that includes life science, physical science, and earth science. The study of music and art continues with a closer look at their place in our intellectual history. Students gather each week to develop vocal skills in choir. Students sing songs from the classical music canon, as well as traditional and popular songs. The LCA choirs perform together at our Winter Concert and our Spring Program. In Music Fundamentals, students work on listening to, reading, analyzing music. They also create music and study music history, including the great classical repertoire that includes opera, symphonies, jazz, and bluegrass. In the art program, students will work on developing fundamental understanding of form and design, students work on building foundational skills of drawing, composition, color, and perspective. Exploration of form, meaning, and production are valuable elements of art education. Each term students focus on a particular genre or form of art, including, photography, printmaking, drawing, and painting. A classical education is rich in the knowledge of history as a requisite of cultural literacy and a necessary component of critical-thinking skills. It feels good to know things, to satisfy curiosity, to make connections. Middle-school students have a native pleasure in knowledge and this is nurtured by teachers who share it. Classical education’s emphasis on general knowledge is affirmed by modern research that shows its critical role in cultural literacy, a requisite of communication and participation in our society. It is not enough to learn how to learn; the best learning outcomes also require that much be learned. Critical thinking is a goal of every educational approach, but classical educators recognize that critical thinking is very much dependent on knowledge. Research in cognitive psychology further affirms the critical role of background knowledge in reading comprehension and writing fluency. LCA immerses its students in a knowledge-rich environment shaped by teachers who share a passion for lifelong learning. Connecting past and present and building connections in a multitude of ways help students to gain knowledge of political, philosophical, social, economic, and scientific phenomena.